The Lewis Mighty Fund and Nottingham City Hospital form new partnership. 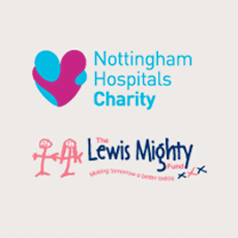 The Lewis Mighty Fund is to provide funds for the benefit of children with cancer at Nottingham University Hospitals and in the community. Support The Lewis Mighty Fund - grab your wristband today! Lewis first became unwell at 3 and a half years old at first displaying very vague symptoms, general malaise and lethargy along with loss of appetite. James and Gill Morisson became Patrons of The Lewis Mighty Fund after following his journey and wa. The charity aims of The Lewis Mighty Fund is to provide funds for the benefit of children with cancer at Nottingham University Hospitals. 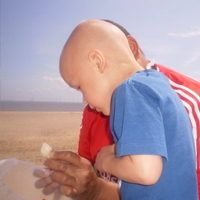 By choosing to make a donation to The Lewis Mighty Fund you will be helping children facing a child cancer diagnosis within the Nottingham Hospital Trust. 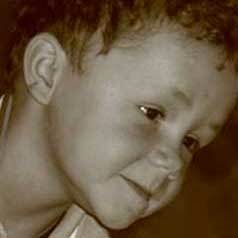 Neuroblastoma is a childhood cancer. It is the most common cancer diagnosed in the first year of life and accounts for around 15% of cancer deaths in children. SINGER James Morrison handed over a signed guitar to patients after performing on the ward which looked after Lewis Mighty. James – who has also become a patron of the Lewis Mighty fund – said: "I've never been involved with a charity which has raised so much money. It's an honour to be involved this way."